We sue credit bureaus for violating the Fair Credit Reporting Act. But what rights does the Fair Credit Reporting Act give you as a consumer? First, you have the right to obtain one free credit report each year from each of the national consumer reporting agencies (i.e. Experian, Equifax and Trans Union). You can obtain your free annual reports by going to www.annualcreditreport.com or by using the form found on the Fair Credit Reporting Act page of the Kittell Law Firm website. You are also entitled to a free credit report when you are denied credit, employment or insurance based upon the contents of a credit report. In that instance, you can request a free credit report from whichever consumer reporting agency whose report was used in the decision to deny your application for credit, insurance or employment. I recommend obtaining your free credit reports once a year and reviewing your credit reports for any errors. That brings up your second right under the Fair Credit Reporting Act which, to me, is the most important of the rights bestowed by the Fair Credit Reporting Act. You have the right to have any errors on your credit report corrected or deleted. Credit reporting errors can take many different forms. Some credit reporting errors are simple to have corrected – like misspellings of your name or errors in your address. Other credit reporting errors take more effort to get corrected – like incorrect balances and erroneous late payments. Some credit reporting errors are much more difficult and often times require litigation to correct – such as fraudulently opened accounts by identity thieves or when the accounts of another person with a similar name or Social Security number appear on your credit reports. You are allowed to dispute any errors you find on your credit reports to the credit bureaus reporting the errors via mail, phone or through the credit bureaus’ websites or even third party websites like creditkarma.com. However, I strongly urge you to dispute any errors by writing a letter to the credit bureaus rather than making the disputes by phone or their website. If you dispute the error by phone, it will be your word against the credit bureaus’ records as to what was actually said during the phone call. If you dispute via the credit bureaus’ websites, you are limited to the vague, generic choices for your dispute (i.e. not my account) which may not completely reflect the nature of your dispute. So taking the time to write and mail a letter is the best way to lodge your disputes. The mailing addresses for Experian, Equifax and Trans Union can be found on the Kittell Law Firm’s Fair Credit Reporting Act page. If possible, include any documentation or other proof that proves the error is incorrect with your disputes to the credit bureaus. And don’t think that, once disputed, the error is corrected. The credit bureaus are notorious for failing to properly investigate the disputes they receive, which often causes the errors to remain on consumers’ credit reports. Sometimes multiple disputes are required to obtain a corrected credit report. Often, it takes suing Experian, Equifax and/or Trans Union to sufficiently get their attention to have an error corrected. Once you dispute the error, the credit bureau must do two things. First, it must perform a reasonable investigation of your dispute. Second, it must relay your dispute to the entity which furnished the disputed information to the credit bureau. So, if you believe your Capital One credit card is reporting late payments that are incorrect on your Equifax credit report, and you tell Equifax that your Capital One payments were never late, Equifax must perform its own reasonable investigation of your dispute AND forward your dispute to Capital One to perform its own investigation. 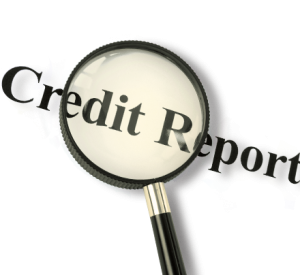 Once the investigations are complete, the credit bureau should correct your credit report. But, unfortunately for many consumers, the credit bureaus often do not perform reasonable investigations. The credit bureaus outsource the investigations of most of the disputes they receive to foreign countries who may or may not completely understand even what is being disputed. And, most of the time, the credit bureaus just rely on the furnisher to do its investigation which, since the furnisher is the source of the inaccuracy, often times results in errors remaining on consumers’ credit reports. The Fair Credit Reporting Act gives consumers the right to sue the credit bureaus (and the furnishers) for failing to properly investigate their disputes. If the consumer can prove that the credit bureau negligently violated the requirement to reasonably investigate the consumer’s dispute, the consumer can be awarded his or her actual damages, attorney’s fees and costs. If the violation is shown to be willful (i.e. performed intentionally or in reckless disregard for the requirements of the Fair Credit Reporting Act), the consumer can also receive a punitive damage award against the credit bureaus and/or furnishers. But do not represent yourself in such a lawsuit. The Fair Credit Reporting Act is a complicated set of statutes with many parts. For instance, the requirement of the credit bureau to investigate is found in the “I” section of the act and the requirement of the furnisher to investigate is found in the “S” section. And many of the sections in between have loopholes or landmines that can destroy your case if you do not know what you are doing. And there are literally thousands of Fair Credit Reporting Act case opinions that further define and interpret the requirements of the FCRA. Most attorneys do not even know the ins and outs of the Fair Credit Reporting Act so representing yourself is fraught with danger. The Kittell Law Firm is willing to represent consumers under the FCRA in all fifty states. So, if you have errors on your credit reports which the credit bureaus refuse to fix, contact the Kittell Law Firm for a free consultation.